Celebrate your style with Aloft Houston by the Galleria, a hip new hotel in the high-end Uptown District. Were blocks from the legendary Galleria mall and close to big businesses, plus a quick trip to downtowns convention center, Museum District, and much more! Meet & mingle with friends at our w xyz(SM) bar, grab a sweet, savory, or healthy snack from re:fuel by Aloft(SM), our 24/7 pantry, or play in our re:mix(SM) lounge. Plus, you can always stay connected with complimentary hotel-wide wired and wireless Internet access! Breeze into one of our Aloft rooms, featuring our ultra-comfortable signature bed, an oversized showerhead, custom amenities by Bliss Spa, and more. Our plug & play connectivity station charges all your electronics and links to the 42 LCD TV to maximize work and play. Zipping into the Lone Star States biggest city on a business trip or carefree vacation? 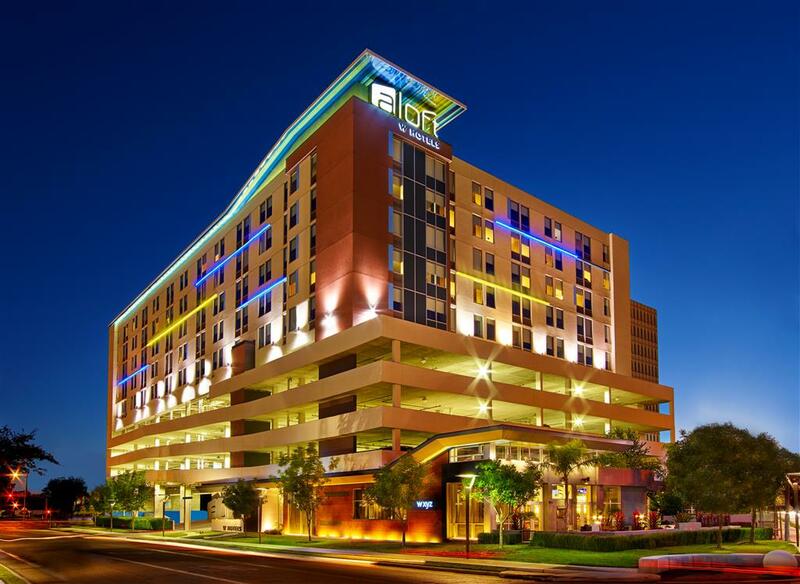 Aloft Houston by the Galleria offers easy breezy access to the entire metropolis but is light-years from all those other run-of-the-mill hotels. Abuzz with the energy of discovery and interaction, this bold new lodging alternative will surely inspire you to explore our namesake city and all it has to offer. Stay and play awhile! Were in the heart of Houstons high-end Uptown District, where business is booming and upscale retail rules. Its an easy jaunt just blocks away to the legendary Galleria mall, for chic shopping and fun-filled entertainment. Business is a breeze, with offices of Deloitte, Duke Energy, Exxon, and others all conveniently close plus downtowns George R. Brown Convention Center a mere 12 miles away. Equally accessible are the citys endless attractions, from the Museum District for the culture vultures to the Astrodome for the sports fans, and much more! Need local tips? Check out Aloft Houston by the Gallerias in-touch kiosks in our re:mix(SM) lounge, for for easy breezy Internet access to all that need-to-know info. Then ease on down the road and experience a true taste of Texas.